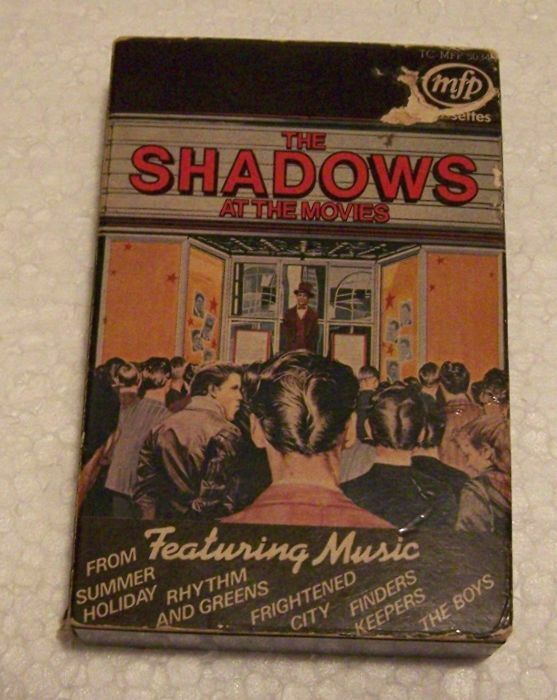 Up for auction 36! 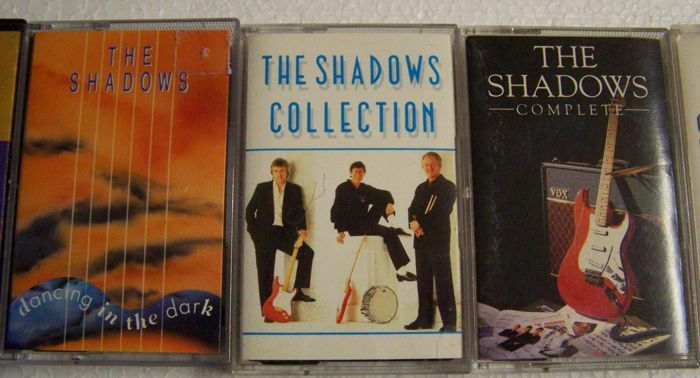 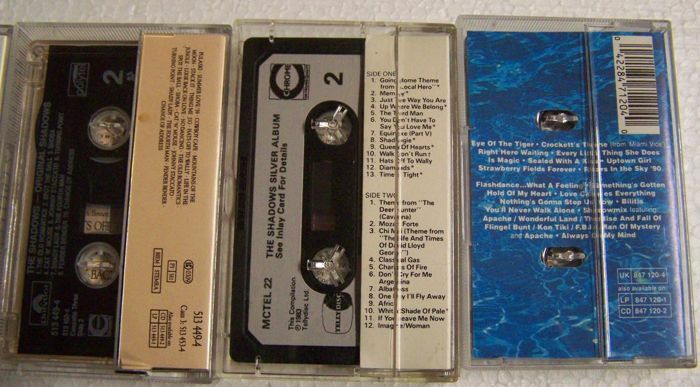 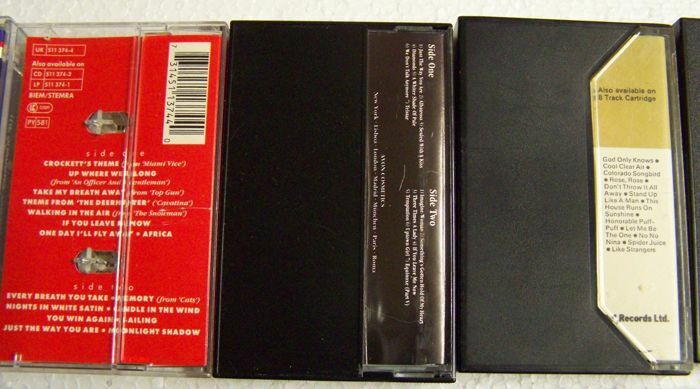 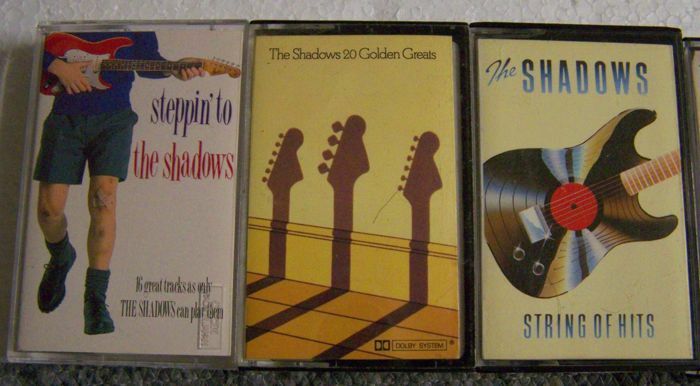 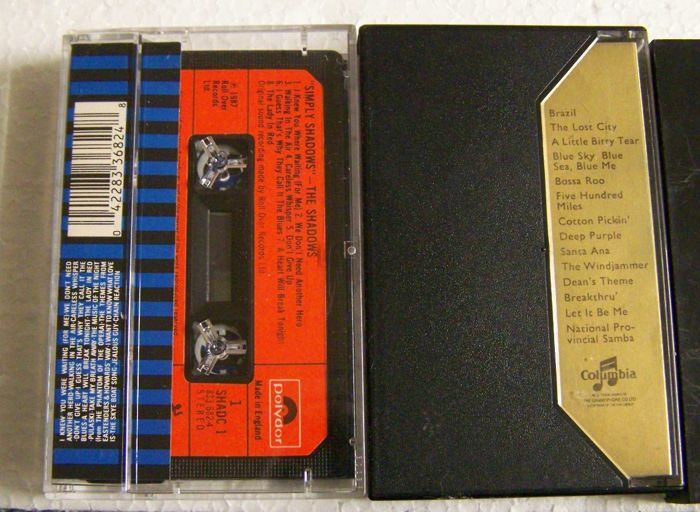 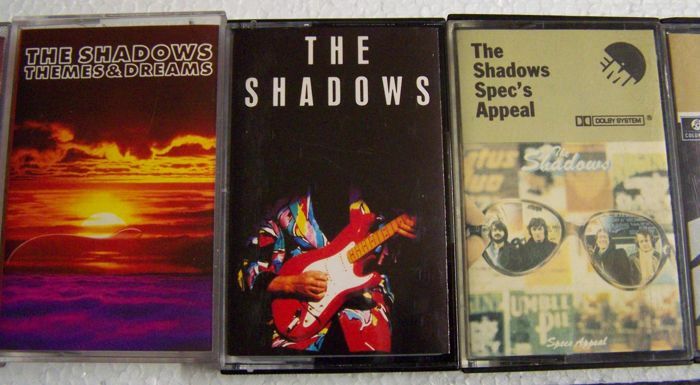 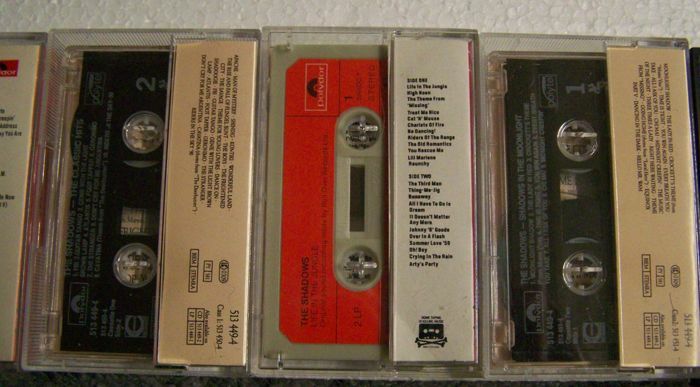 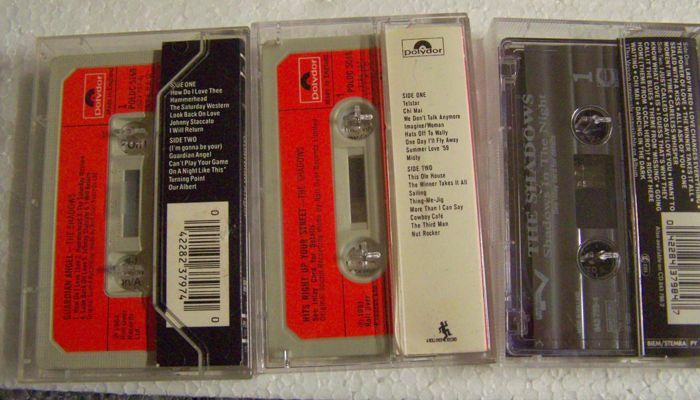 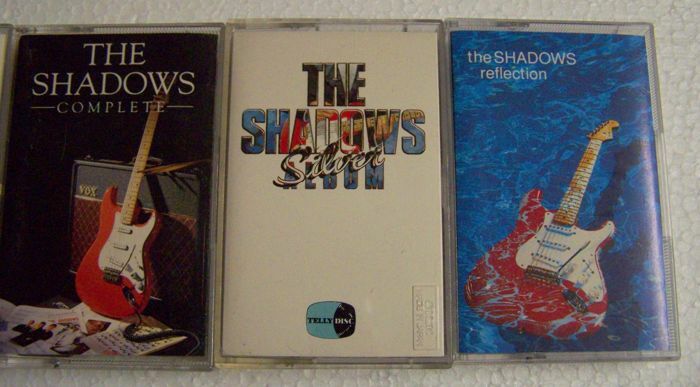 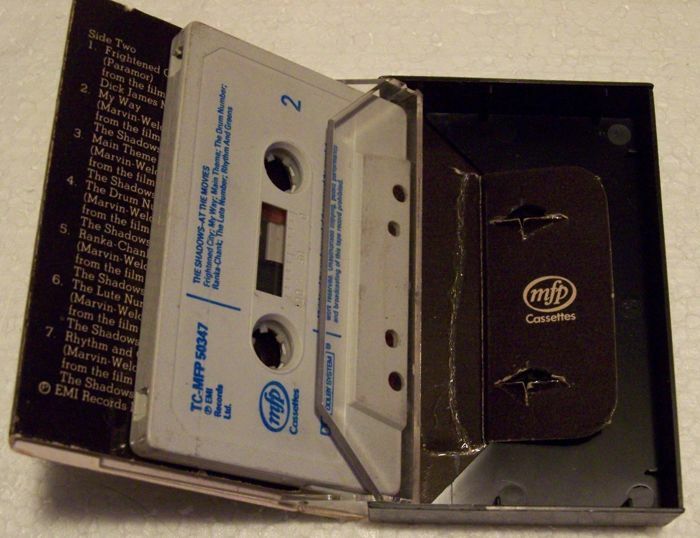 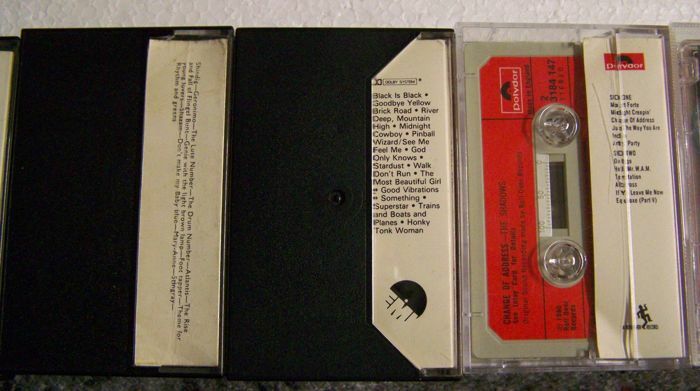 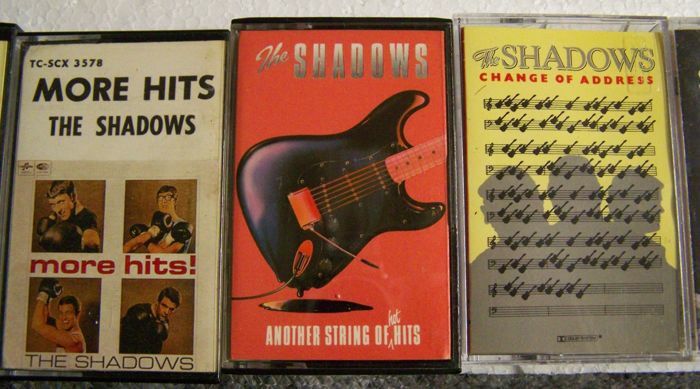 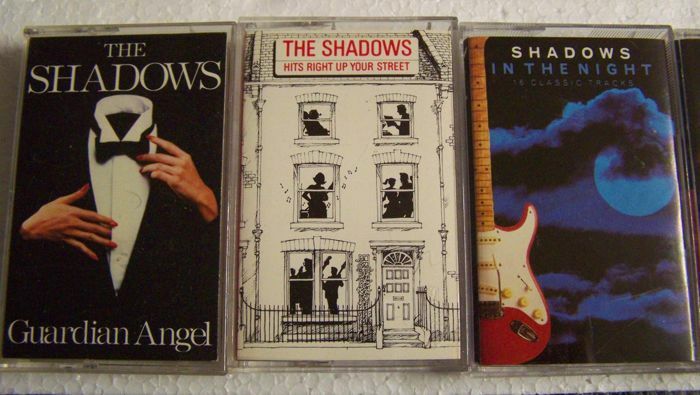 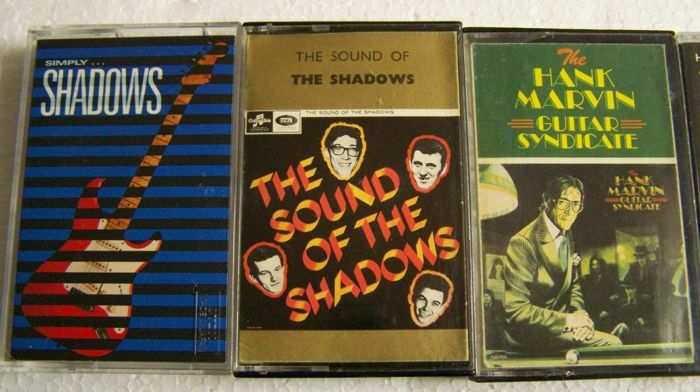 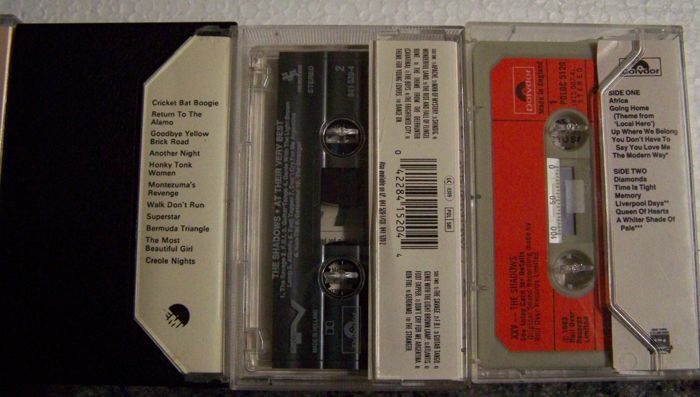 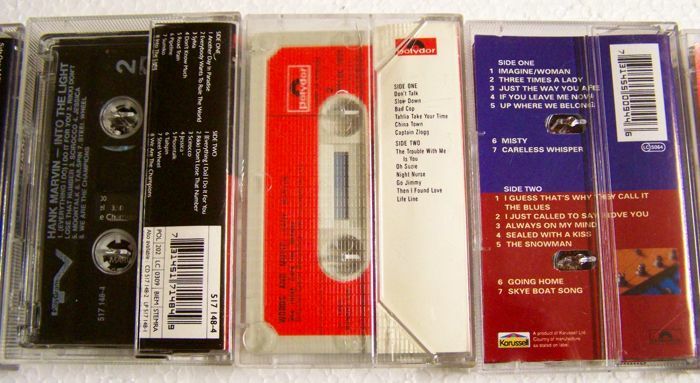 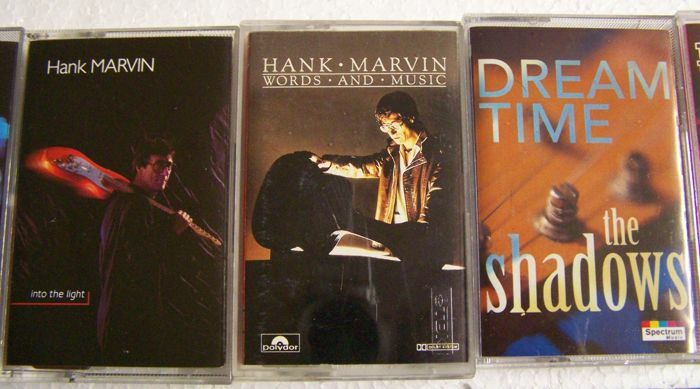 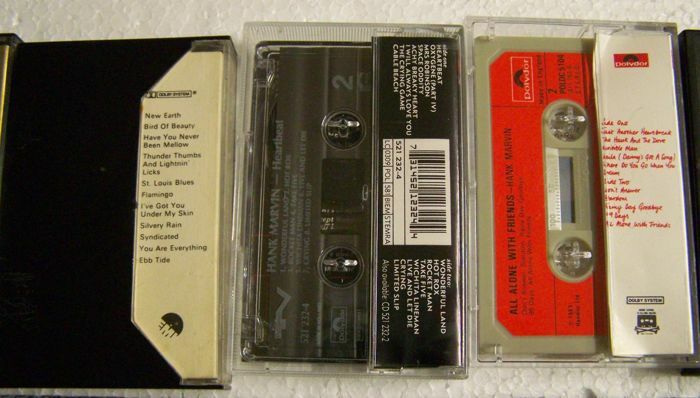 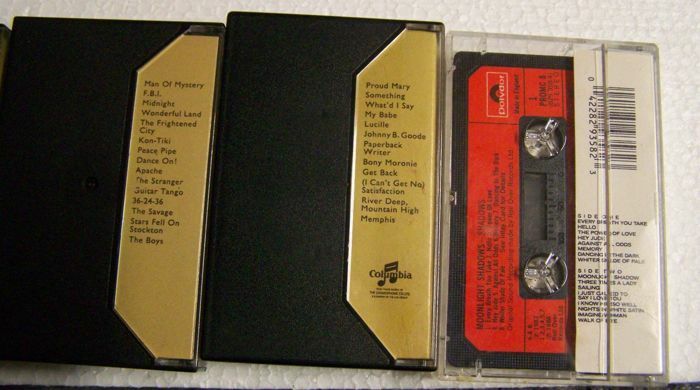 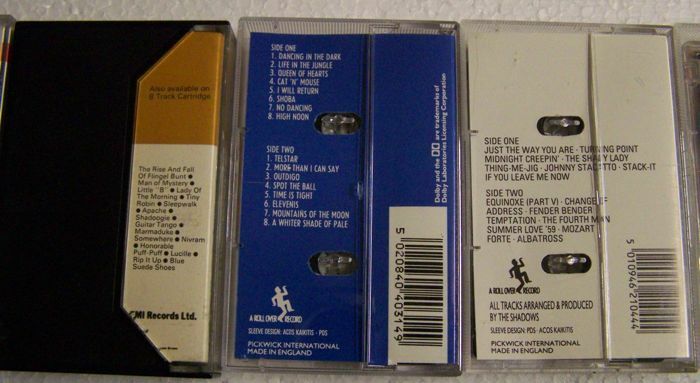 cassette tapes with music from the worldfamous guitargroup The Shadows. 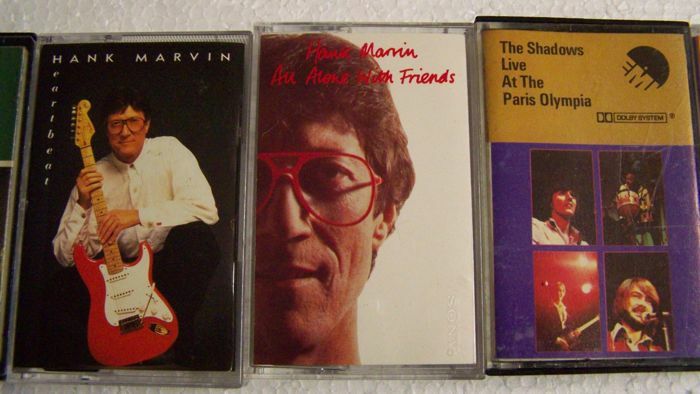 Most of the recordings are from the Shadows as a group, but there are also several solo projects by sologuitarist Hank B. Marvin. 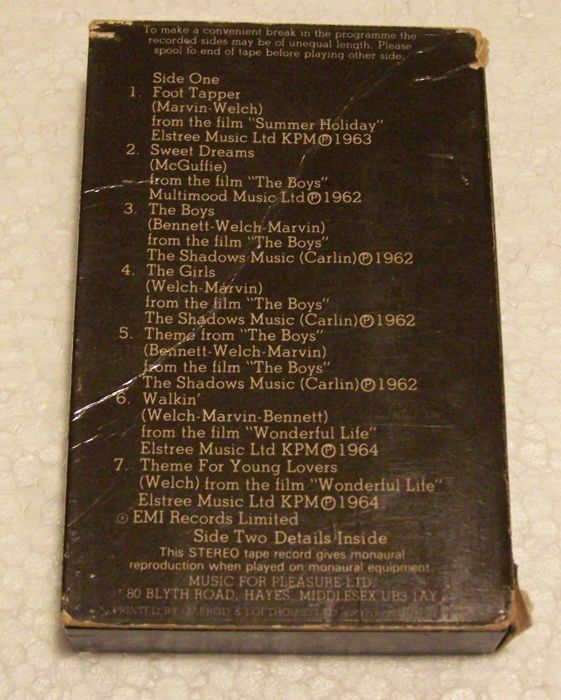 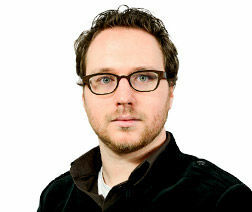 The recordings are made by several different labels, i.e. 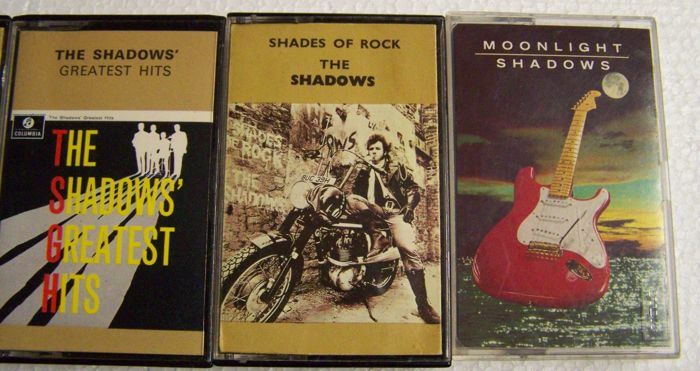 Colombia, Polydor back in the seventies and the tapes are chrome or metal types and recorded with Dolby noise suppression. 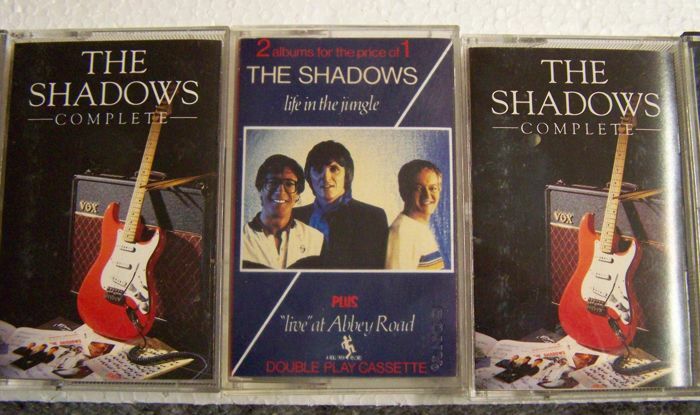 The cassettes are all factory originals, NO copies! 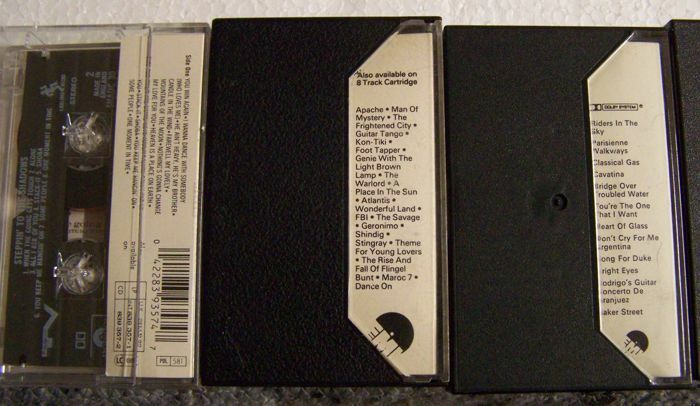 For titles and overall condition check out all pictures. 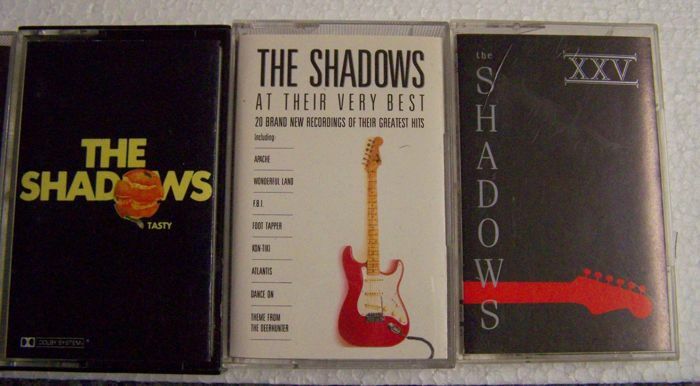 Personal collect or shipped insured, worldwide.